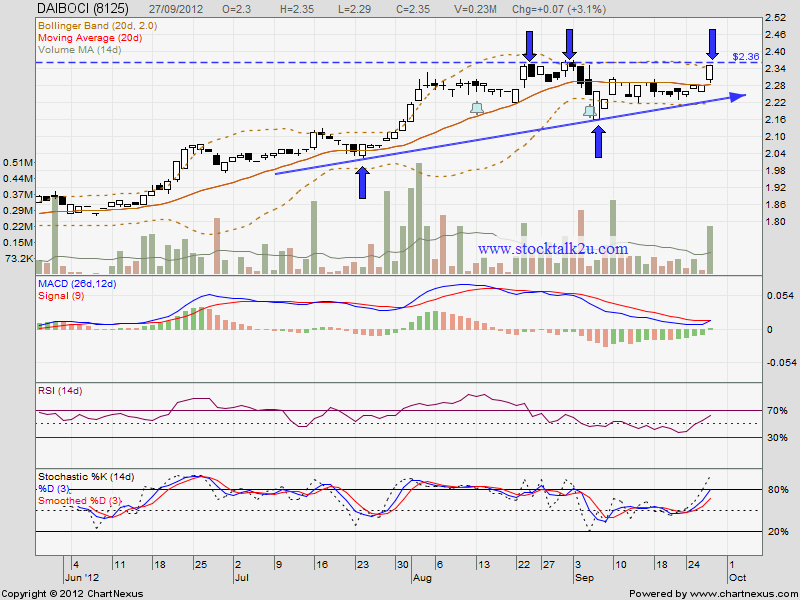 DAIBOCI (8125) retest RM2.36 resistance level? If the bull strong enough, it might break through & go higher. However, if retrace down, MA20 would be immediate support. 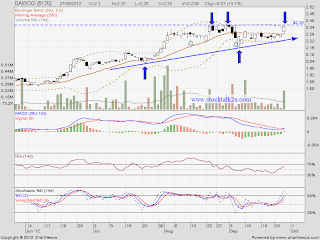 Subsequent support @ lower triangle line.